We may collect personal identification information from Users when Users register or log-in in the App, this information is used for internal operational purposes and is not shared publicly. Users may be asked for, as appropriate, name, email address. Users may, however, use the app anonymously. We will collect personal identification information from Users only if they voluntarily submit such information to us. Users can always refuse to supply personally identification information, except that it may prevent them from engaging in certain app related activities. We do not collect any personal information such as photos, location, age or gender. We respect your child's privacy. We may collect non-personal identification information about Users whenever they interact with the app. Non-personal identification information may include the OS name, the type of device and technical information about Users means of connection to the backend, such as the operating system and the Internet service providers utilized and other similar information. Our apps do not have In-App purchases accessible to kids. Content can be purchased only by a parent through a child locked parent zone. Our Apps do not have any Social Media links. Parents can create a profile with us for their child through the child locked parental zone. Children can only share their art work in the Art Club. The Art Club and Challenge images in Mini Monet are visible to other kids, this sharing can be turned off by a parent. The Art Club is not a social community, children cannot send messages, photos or follow other children. This app requires an internet connection to share art in the Art Club and Challenges. There are no external links in the app. 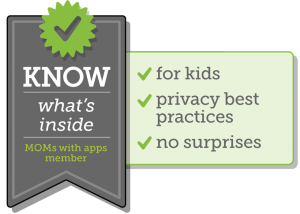 We do not have ads for third-party products in our kids mobile applications. Our app does not generate anonymous usage and error reports. By using the Mini Monet app, you signify your acceptance of this policy. If you do not agree to this policy, please do not sign-in or log-in to an account in the app. Your continued use of the Mini Monet app, following the posting of changes to this policy will be deemed your acceptance of those changes.